Digital transformation is more than just Industry 4.0 and it certainly doesn’t stop at the factory gate. It represents a never before seen business model, new market perspectives and business innovation. Andreas Jamm, managing director of BOLDLY GO INDUSTRIES, and Dr Winfried Felser, managing director of NetSkill Solutions explain how important it is to focus on value added and distributed and which approaches can be helpful. Like all innovation, digital transformation, with all its features and facets, divides the camp into fans and critics. The book “Illusion 4.0 - Germany’s Naive Dream of the Smart Factory”, written by Professor Andreas Syska and published in summer 2016, played into the hands of the latter, making it clear that Industry 4.0 was not able to convince all sceptics. Among other things, technical orientation without value orientation and the confinement “to the factory gate” are criticised. Conversely, a larger overall picture is being sought that also includes the social implications and, above all, the customers and their value added. Begin your Industry 4.0 endeavours with a clear focus on value and value added. Think of Industry 4.0 economically and not technologically. Hence, you recognise the new logic behind the digital network economy. Previously linear pipelines have, in reality, long since been replaced by valued added networks that transcend companies and countries. Correspondingly, companies must shake their current silo mentality and see their value contribution as a part of a global network even at a strategic business level. This can also mean that former competitors need to become associates. And it especially requires creative rethinking about innovative or even disruptive business models as well as about new organisational structures. Therefore, you should not just take advantage of efficiency and automation in your projects but rather all new potential value arising from networking and transparency, in particular for customers. Do not leave your project prospects at the factory gate. You can start internally but in the end, end-to-end optimisation is the only option that ensures the necessary value for customers in particular. The social perspectives of economics and enterprising activity ultimately also call for such a perspective in the context of Industry 4.0. Take advantage of the opportunity to jointly develop new perspectives for value creation within the network as part of a network economy. Learn from innovators and their agile methodological approaches such as Design Thinking, for example, and create your own collaborative platforms for innovation in line with your objectives (own co-working spaces, digital labs & incubators). In accordance with lean start up logic, it is sensible to start simply and to iteratively test the tools and technologies available in the market. Take advantage of dynamic models such as Value Landscape 4.0 as accompanying support. Frameworks simplify the creative process for your transformation. Even better: Work with others on Value Landscape 4.0. Those who pretend to know the target scenario today are untrustworthy. Alternative: Co-Learning and Co-Creation! Above all, the new focus on value and value added also means that we must re-interpret Industry 4.0 and understand it in a new light. The initially dominant, technical focus on “Industry 4.0 = Internet of Things (IoT)” and a few networked machines needs to be outgrown to ensure ongoing success, since technology is not an end in itself. Instead, new value creation that is in alignment with the new economic parameters must take priority as the essence of Industry 4.0. In simple terms, network based, collaborative added value – often within the framework of virtual platforms – is replacing the linear pipelines in an Economy 4.0. That is the Essence 4.0, while technology is, first and foremost, the enabler for the new added value. In order to retain competitiveness while also recognising new market opportunities and being able seize them, creative rethinking towards innovative and even disruptive business models is urgently needed. End-to-end oriented, consistent user centring is becoming more important than ever before with increasing transparency and multilateral market access. Companies must ask themselves the following questions: What does the digital customer want and upon what do they and their sphere of influence put value? Possible answers can be: direct, simple and immediate access to products and services, individualised content and services from a sustainable context and all that at the best price. However, this does not come without consequences for organisational structures which must be correspondingly capable and compatible in terms of structure in order to be able to dominate the complex new markets. 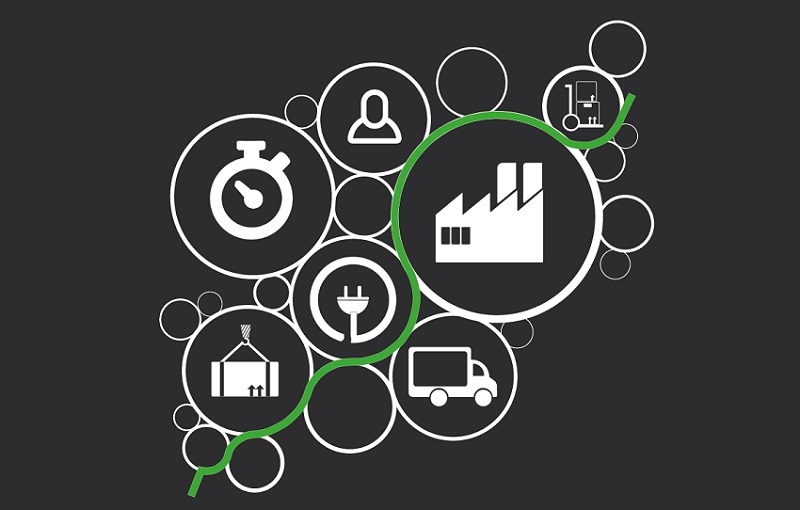 Silo cultures or those with distrust in supply chains are no longer an option. A new culture is not just critical for the new economy but in itself is also the essential basis for the collaborative (internal and external) transition process. In order to successfully recognise new solution patterns and be able to overcome old ones, it is recommended to draw inspiration collaboratively in order to better understand the network economy and its specific added value. This also includes “going out and actively networking” (e.g. to events, workshops & bar camps etc.) in order to learn from opinion leaders and innovators and, where possible, to collaborate with them. This is how new yet already proven value paradigms are directly tested and how added value is generated for everybody thanks to efficient teamwork. Sometimes you win if you just have faith and get started. By now, there are a sufficient number of tools and technologies in the market. Now it is a matter of iteratively testing them in order to familiarise oneself with the basic technical equipment and methods of the new, digital network economy, to begin initial cooperation and to set up prototypes and pilot projects. For example, co-working spaces, digital labs & incubators, among other things, can take care of the creation and maintenance of new network hubs. Potential value from digital networking always means taking a close look at and learning from other sectors that are already taking on pioneering roles in certain areas with curiosity and openness. For such networking, however, companies also require orientation assistance that primarily integrates the drivers of value and which demonstrates practically tested solution concepts. 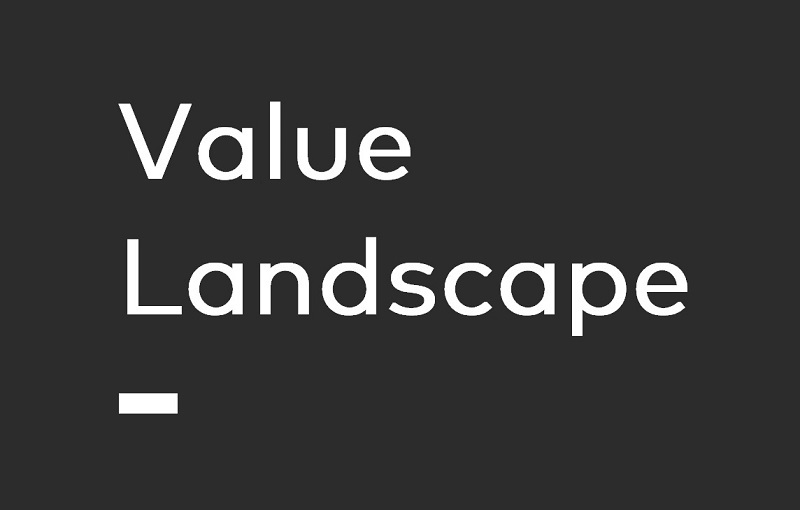 Value Landscape 4.0 takes on exactly this challenge. “There is currently a lack of integration of the entire value map and the interaction of the previously separately considered areas such as supplier performance and customer satisfaction for example”, explains Andreas Jamm, founder and CEO of BOLDLY GO INDUSTRIES. He goes on to say that “by initiating Value Landscape 4.0, we want to invite interested companies to discover and take advantage of their potential value in the age of Industry 4.0”. It is all about consolidating internal, external and heterogeneous data and understanding the links of one’s own value added chain as part of a superior value added chain for value analysis. Fact: The digital world, with its new network economy, demands end-to-end based business models in order to recognise all potential value. Compartmentalised, functional process flow optimisations, such as the shortening of order approval processes, for example, in order to secure discounts and deductibles, are no longer enough. It is necessary to identify and exploit potential value across functions, departments and the company through networking, transparency and data availability. This is how the manufacturing industry sees large future potential added value in individual mass production and so-called batch sizes of one. In order to be able to offer this flexibility at realistic market prices, however, companies need to initially invest, with the help of IoT solutions, in the development of company-wide transparency of the networked value added chains as well as in increasingly self-controlled automation between logistics and production processes. Thus the potential values Individualisation 4.0 and Co-Creation can be found in the area of customer orientation for example. Providers of product configurators such as camos see enormous potential for additional sales i.e. additional added value, completely separate from efficiency advantages, simply from better exploitation of customer wishes leading to more comprehensive individualisation. The service dominant logic is an economic view of the exchange between company and customer with the focus on services. It enables additional potential value by expanding products and services all the way up to complete business models and service platforms. If you only quote predictive maintenance and Uber as examples of potential value in the digital economy, you are reducing the enormous potential to just two alternatives which, through redundancy, have become relatively unexciting. All companies looking to expand their horizons and wanting to learn comprehensive perspectives are welcome to join the initiative. To do so, please contact the authors of this article.